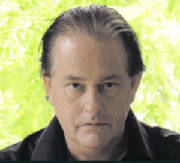 Martyn Ware can easily be referred to as one of the founding fathers of modern electronic music. This busy man can boast credentials that are impeccable. In the late 70s, himself and a few of his mates formed the Human League in Sheffield, England. The band's first two albums, "Reproduction" and "Travelogue" would later go on to be regarded as innovative masterpieces. Later, he would be a part of Heaven 17, another band that released such timeless classics as "The Luxury Gap" and "Penthouse and Pavement". Later Ware would become a producer whose talents are very much in demand. He produced the award winning "Private Dancer" album for Tina Turner, and he has also worked with such legends as Chaka Khan and Jimmy Ruffin. Today Ware runs The Illustrious Company with Vince Clarke (founding member of Depeche Mode and currently in Erasure), who specialize in orginal scores and sound installations. Heaven 17 have recently released a brand new album called "Before After", which has received much critical praise. I recently tracked down Martyn and he was gracious enough to talk to me about the numerous projects he is currently working on, and the current state of the music industry. Gary Flanagan: First of all, I just want to talk with you a little bit about the new Heaven 17 album, "Before After", I really enjoyed it, I think it's one of your best albums so far. Martyn Ware: I think it is too. I think it's the best thing we've done since "How Men Are". GF: The biggest impression I got from this album is that it sounds so positive and so upbeat, and there's a promo card for the album saying that it was made "with no restrictions, no pressure, no time limits, no interference". Was it a positive experience to make this album? MW: Well, the interesting thing is, here's how it came about really...you'll not believe this, we determined after "Bigger Than America" that the next album wouldn't take so long to get out. We were kind of energized by the results of "Bigger Than America". We kind of liked that album. But, as usual, with a lot of the things that we've done in our career, we assumed a level of understanding of our fans, that a large number kind of missed the point of "Bigger Than America", not the real fans, but some kind of viewed it as sounding a bit old-fashioned and '80s and the whole point was to do an album that really restricted ourselves largely to the original analogue synthesizers, but to create a contemporary sounding album. And then, to put that to bed once and for all, and create an album that was going more for the jugular, in terms of the dance floor and in terms of pop, rather than the path that we had kind of travelled down for many years... particularly after "Pleasure One", it got too kind of wrapped up with session players, and for a while we were out of ideas, to be honest. The album's original incarnation kind of emerged a year to eighteen months after "Bigger Than America". We had actually written 30 different backing tracks and narrowed it down to the final twelve, which we all kind of liked. We hadn't written any lyrics for it at this point. We kind of gave this CD to our manager at the time and to various people who were interested in what we were doing, and the general reaction was kind of lacklustre, kind of like non-commital. We got very disheartened and threw the whole lot in the bin, and started again. Then we were up to three years after we had started the original incarnation. This time we were a lot more focussed on what we were doing, we did rescue a couple of the backing tracks from the original version, and we wrote a whole bunch of new stuff, more determined to prove people wrong. We actually had two different mixes of the album, the first was sent out as a "better than rough" mix, but not quite as good as we'd like it, a mix that was given out to people at MIDEM, and trying to get a deal for it fundamentally, through our original manager. That wasted about eighteen months of our time. No deals were forthcoming. Well, ones that were not worth having. Then we managed to swing a favour with a recording studio called The Strong Room, where we've recorded lots of my productions before. We managed to get Mike Nielsen who is a very good mix engineer, to remix the album for us and it sounded much better. The original version of the album had all ready been put into different record companies and they weren't getting it. Now, we actually had the finished product, as it were, in our hands and we liked it a lot more, and the big record companies were in a state of shrinkage, as they still are, and not really taking on old acts. Had it not had the name Heaven 17 on it, I think people would have regarded it as a quite contemporary sounding record. During that period we had three or four different offers to put the thing out and they all fell through for various reasons, none of which were to do with music. And finally we decided basically to put it out ourselves through a small independent label in Britain and in the rest of Europe, and in America David Richards from Ninthwave has always been a fan of our work, and I like the work he did on his label, and I like the way that he operates it. So, we said "well look, I know it's not a big company, but it's good to get the stuff out with people who are enthusiastic about it". That's what we care about. GF: How has reaction been from the fans regarding "Before After"? MW: We've had lots of very positive feedback. It's a strange world now, isn't it? We're dealing in a world where we can get probably the most approbation of any album that we've done since "The Luxury Gap", in terms of feedback, response, reviews, general opinion. Actually what costs money is marketing it to the larger world out there. I mean, it's a very tempting premise to think that all you have to do is put stuff up on a nice website and then all of a sudden there are literally millions of people who want to buy it. Driving those people is sometimes the problem. It needs a lot of internet marketing. And therein lays the problem for just about any band, of medium sales to low sales. GF: I was curious of your opinion of the internet in general. Do you view it as a detriment or as a positive tool? MW: I think it's a positive tool. You can't stop the tide of progress. You can't wish for total control over your copyright in the way that you used to be able to administer. The means of diffusion have changed completely. You can't control it in the same way. Nor should one attempt to control it in the same way I don't think. Basically you have to use a completely different business model. I think people are waking up to that. But the business is still being run by very old-fashioned marketing people that are running most of the major companies. They're still really using the same techniques that they've always used when they were selling pieces of plastic. I find it amazing that they're reacting so slowly to this kind of meltdown. So basically, I think the positive aspects of it is that access to music for people is great, the negative aspect is that future production is jeopardized. There's simply not enough money to dedicate time to creating content anymore. Largely, the days of record companies developing acts through supporting them is pretty much gone. We're left with the kind of commercial imperative that the high selling artist can still command substantial advances, but the medium ranking and the low ranking, in terms of sales, or even those who haven't proved what they're going to sell, simply aren't being supported by record companies anymore. They wait for people to create material at home and then they try to pick what they want. I think that's quite sad, but that's nothing to do with the internet. That's to do with greed. I think the traditonal role of record companies, kind of developing acts that will actually sell, has been kind of abolished. To the detriment of sales in general. A lot of record companies would probably say "well, we're just doing what everybody else does". But the fact of the matter is, you either lead or you follow. And they're following at the moment. They used to lead. I know for a fact that I would not have a career in the music industry now at all, if I was starting from here. We were supported by Virgin Records. 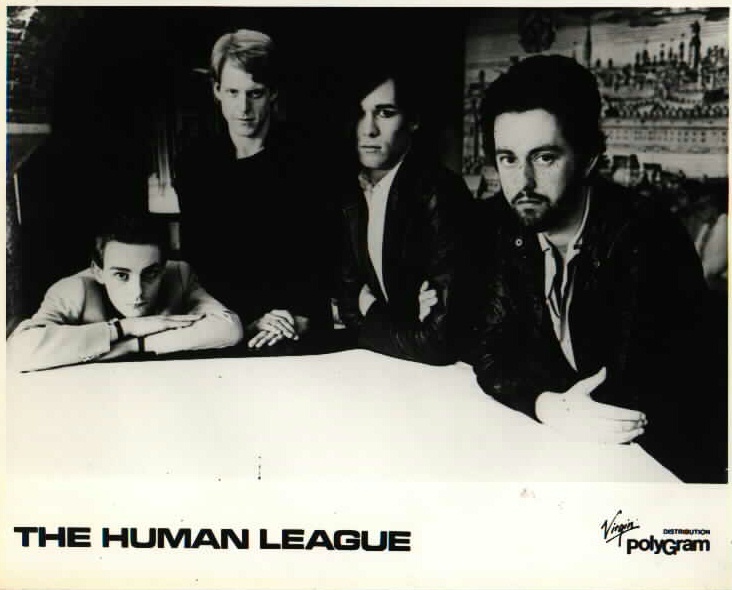 Although we had artistic success with the first two Human League albums, we were in debt because they were paying for tour support, albeit we were paid back eventually, but, they were paying for tour support, a lot of touring, to try and popularize the act, but in essence when the Human League split into the Human League and Heaven 17, both groups were in the hole to the tune of about 150,000 pounds. But they didn't drop the acts! They made two successful acts out of them. And between them, they went on to sell 15 million albums. And this was the difference. They've put themselves into a position where it costs themselves so much money to promote records now that they can't afford to release them. What situation is that?! It's ridiculous! If you actually examine what I've just said, for one second, how ridiculous is that? They've created that situation. And this all historically derives from greed, with them getting into bed with supermarkets. And retail chains have no interest in music. All they're interested in are units. Once they assume forty or fifty percent of the actual market that they're aiming at, then the tail starts wagging the dog. They say "we only want your top selling artists, we're not interested in the rest". GF: I often see the first two Human League albums referred to as being very ground-breaking and pioneering works of electronic music. Did you guys have any idea at the time that these works would later be so highly regarded? MW: Absolutely. We thought we were totally ground-breaking. The only thing that confused us is why not many people were buying them. That was our premise, to be unlike any other band on Earth. Obviously we had influences from Kraftwerk and glam, and various other influences, but in that era I think we sounded pretty unique. And that's what we were aiming at all the time. And the interesting thing is that one of the tensions that grew which led to us splitting up was that myself and Ian wanted to continue with the ground-breaking stuff, and Phil, with many words dropped in his ear by the record company and the management, that wanted to make huge amounts of money, saw him as a straightforward pop star and therefore manipulated the situation to make that happen, which is absolutely fine as far as I'm concerned, because we wanted to give them the name, we were getting a percentage of the album anyway. We wanted to continue with experimentation. We were very, and still are, with the stuff to do with Vince Clarke and Illustrious, intent on being as innovative as we can master. GF: I've heard a lot about the atmosphere in Sheffield at that time. Many artists felt that Sheffield was sort of isolated and detached from the rest of the British scene. Do you think that isolation had a lot to do with the sound and the tone of those first two albums? Or did you even feel isolated at that time? MW: No, not really, it was more to do with "Sheffield is better than everywhere else". That kind of feeling. It sounds very arrogant, but we were very arrogant. We really thought at the time that we were doing something extraordinary. We wanted to get away from a working class environment where there really was no future. Sheffield is very aspirational, but not in the sense of "I want the latest 4X4", you want to get out of that situation. And it's too difficult to change Sheffield. Sheffield is a very conservative place. It's not changing enough to keep up with the modern world in a lot of different respects, largely from architecture and cultural attitudes. There's always been an incredible cultural resilience, shall we say. My father was a steel worker for fifty years and one of the things that him and a few of his mates did was they wrote poetry, to get away from the total numbing banality and the danger of their everyday lives. They would always have some kind of escape. And recently I created a soundscape in Sheffield where I went around the existing very old fashioned steel works that are still making stuff by hand. There was one particular guy who does hand grinding of knives and tools, and amazing things are sent to him from around the world like Samurai warrior swords and all sorts of amazing things. In this incredibly Dickensian kind of environment, the first thing he did after we took a few photos was to show us some photos...he's got a yacht on the east coast of England in a marina. While he's working, it's just so automatic to him now that he's just sailing, while he's doing his work. This is a very Sheffield thing...people are very escapist. They need to escape from the banality and the drudgery of everyday life. This was a very powerful thing for us, a powerful impetus combined with the fact that rehearsal space was cheap, almost free in fact. There was not really much else to do, apart from going to the cinema. GF: There seemed to be so many bands coming out of Sheffield in a very small period of time. Do you think that was related to that need for escape, that aspiration to achieve something else? MW: I think so. You've got to bear in mind that something like 70,000 jobs were lost in five years in the '70s. And we were just coming out of school. I was a trainee manager at a local grocery store, and then I went on to work as a computer operator, which was very well paid work. But ultimately a dead end kind of admin job. My brother was a computer programmer, he's a lot smarter than me regarding math. So there's always ways out, but the pressure was always "on" to do a traditional job. And that was the only way that you were ever going to succeed in Sheffield. So all these kinds of economic factors and creative factors and geographical factors and the fact that the heart of Sheffield is full of students, it's a big student town, plus a lot of empty properties, all these factors combined at this particular period of time, to create this kind of zeitgeist. GF: What was behind the creation of the Illustrious company? What projects are you currently working on? MW: What was behind it was the idea I had in my mind, and amongst a lot of my friends in the music industry, that the music business was collapsing. So therefore production work of the quality that I wanted to do was just drying up fundamentally. It's hard to live off the money that we earned from Heaven 17, and one has to keep many plates spinning. Basically I've got two children now, I've got a big house, with a big mortgage, and a very nice life, I'm not complaining, but it's expensive. So I have to earn money. So that was one thing that led me to form Illustrious. The other thing was, I wanted to recreate the conditions that led me to be so passionate about wanting to be involved in music in the first place, which was basically regarding what I did as an artistic enterprise, free from the worry of how much money it's going to make. So I wanted to initially do an almost not- for-profit kind of thing, which would just explore the artistic potential for this three dimensional sound system, which we helped co-design for the National Centre For Popular Music in Sheffield, which closed, because the rest of the content of the museum was appalling, and it closed down....no due interest in the place. But we were left with this technology. So I asked Vince if he would be interested in joining me in forming a new company to exploit our talents, both in terms of compositions for films, TV, theatres, ballets, and a more artistic attitude towards it, rather than the moribund music industry approach. I believed that from that would develop a more artistically driven commercial application, which is what's happening now. We're doing an amazing number of things. We're doing a giant three dimensional sound installation in the middle of Mexico City next month, which is 100 metres square by thirty metres high, it's twelve leading sound artists from around the world doing a two hour piece each, which we've produced, including myself and Vince have done a piece, that's going to run 24 hours a day, seven days a week, for two months in the outdoors, in the centre of Mexico City, which is completely nuts. We're also doing the British Pavilion in Venice, where we're discussing the future of cities in general, Sheffield in particular, by creating a sort of immersive sound and multimedia environment, which automatically detects your preference and then creates a new version of Sheffield right before your very eyes. I just came back from Newcastle where we're working with a thirty piece choir to create a brand new immersive piece which will be on in January or February of next year in a surround sound auditorium up there, which will be a world premiere. We're going to incorporate some choreography from the Royal Ballet, and immersive, generative, visual digital pieces as well. I'm flying over to MIT to talk to Tod Machover, whose head of the music department there. He's also a composer, and he's creating a new technological opera, which is going to premiere in Autumn of next year, which he's interested in having 3D sound for. We're going to the University of Virginia to talk to them about creating virtual three dimensional sound worlds to go with their visual virtual worlds from history, especially a project about Rome in 400 AD. We're working with several projects with my friend Alex MacDowell whose a production designer in Hollywood, who did "Minority Report" and "Charlie and the Chocolate Factory" and lots of other films. We formed, together with a lot of very high ranking multimedia types from different skill sets, a new Macha Arts and Science, which is sort of a think tank, which again started from an artistic basis, and will inevitably develop into a highly successful commercial entity I hope. And Vince is married and got a little baby, and he's living in Portland, Maine. "...most people in today's economic climate assume that because you can do it all yourself, that you should do it all yourself. I don't think that's necessarily true" - Martyn Ware. GF: You got into production at a very young age, you've worked with so many renowned artists, like Tina Turner and Chaka Khan. I'm sure they all left an impression on you, but was there any one instance or artist in particular that really left an indelible impression on you? MW: Tina. It sounds like I'm saying that because it makes good copy, but she completely nailed it, in her mind, in a professional manner. I urge all singers who read this to do a bit of homework before they go into the studio. Because that's what professionals do. They actually decide on their interpretation. You wouldn't expect an actor on opening night to not have rehearsed. As far as I'm concerned, it's about interpretation, it always has been about vocal performance. It's a very romantic notion that there are some people who can just listen to a song and instantly interpret it perfectly. I've never come across anybody like that. It normally involves a great deal of heartache and hard work to extract a performance or a series of performances that you can edit into something that sounds coherent. Tina Turner is the perfect example about how it should be done. GF: So you would certainly say that preparation is key? MW: Absolutely essential. I'm not saying that you rehearse it to death, but she had clearly read and understood the examination paper. And therefore was able to respond to it, in the most beautiful and memorable way. And I think in terms of vocalists, for her it was obviously experience. But it's something that can be taken on board by vocalists in general. There's still this romantic notion that it just emerges from the geniuses who are all great vocalists. Actually, you can see the falsehood of that in action with very popular bands who just release poor albums with terrible vocals. Or who are very inconsistent in their techniques. It's kind of out of fashion to actually do any work. But not in my book, it's not. And another person, from a different point of view who left an enormous impression on me was Scritti Politti, Green Gartside, who I regard now as being to this day the only actual genius that I've ever worked with. He actually has like a 48 stave score running in his head all the time. He can deconstruct distributed sounds within a stereo mix, to the point that it's all in his head. All he has to do is lay it out. And the beauty emerges as the tracks are laid down. I've never come across anyone quite so Mozartian. The down side is that he is very indecisive. So he gets through the 48 staves and then he wants to do another 48. Before you know it, the moment is gone. So he doesn't know when to let go. That left a big impression on me. It made me very determined to do two things: one, to work with only the best people if I possibly could, and secondly to encourage people to be decisive as a producer. GF: There's many artists such as myself who have little home studios, who compose music and record it at home. I'm wondering if you would have any sort of advice as to how a fledgling producer can achieve an effective mix. MW: There are a few guidelines I suppose, but there are so many exceptions. It kind of doesn't work as a general thing. You've got to put every effort into recording the voice in the most beautiful way you possibly can. Not everyone has a huge selection of microphones to use. It's worth spending a few hours working with a vocalist and trying different microphones to see which one works best with the voice. I would really encourage that. I think of all the ingredients that you put into a mix, it's the one that's the most frequently overlooked. That can really make the difference between something that sounds extraordinary and something that kind of passes you by. I'm particularly fond of old valve mics and stuff for that purpose. Basically it's about enhancing the character of what's going on. It just captures more of the nuances of expression. And also, use a good engineer. This may sound like a facile thing to say, but most people in today's economic climate, assume that because you can do it all yourself, that you should do it all yourself. I don't think that's necessarily true. It's worth spending a few hundred bucks on getting a really good engineer to help you out. The temptation is to think that because you can just open up your laptop or your desktop computer, and you've got virtual instruments on every track and you can have compressors and EQ on every track, you can do it all. But, you cannot buy experience in a plug-in. You need to know how to use these things. The majority of music that comes out today is ruined by a lack of understanding of what is needed at the outset. I must admit, when I started out in the first five years of my career, '78 to '83, before I started working in really big studios and got to understand the whole thing, I mean, the first B.E.F. album sounds absolutely terrible I think. I can't wait to remaster it if I get the chance. While I mention it, they're currently remastering, under my guidance, the first three Heaven 17 albums. They're going to sound so much better. Honestly, you won't believe it....they sound like new albums. It's actually going to have bottom end. If you listen to the new remastered versions of the first two Human League albums, it's going to have the same radical difference. These haven't been remastered for twenty years. And the technology has improved immeasurably. I've listened to it and it just sounds fantastic. They remind me of how I remember hearing them before they left the studio, and I've never heard since. We still love working together as Heaven 17. But if it can't work economically, we can't do it. People have simply got to go out and buy stuff. They generally get value for money, I think. GF: I certainly can't wait to hear those remasters! I'm really excited to give them a listen! MW: When I heard it, I thought "this is what it sounded like when we did it!". When we did it, it was meant to be kind of punky and hard sounding. Then when it came out on CD it sounded terrible and thin! It's never been fixed, and now it is going to be fixed. We're also working on a new B.E.F. album that's going to be called "Dark". Basically it's very dark versions of tunes that have to be of a certain type. Basically it's dark reinterpretations of primarily looking at things differently from a lyrical point of view. It's almost like soundscape stuff, in much the same way as "You've Lost That Loving Feeling" on "Reproduction" was kind of like a soundscape. I'm currently looking for vocalists to help me out on this. I was just thinking about it today, and I might just not have vocalists at all. I might just get actors to do it. Or just get people to just half-sing, half-speak. Some famous actors...I think it would be quite cool. I know what I want, I just don't want to sing them. From the point of view of what I've got on my mind, I may just ask people whose job it is to interpret stuff, from a conceptual and contextual point of view to do it. And I don't care how good or bad the voices are, it doesn't matter. It could be Rod McKuen for all I care. GF: Off the top of your head, is there any particular synth that you always enjoy working with, that you've gotten a lot of use out of over the years? MW: Our workhorse with the early Human League and early Heaven 17 was pretty much Roland equipment. That was the core of what we were doing. But we were always fond of Korg stuff. Korg have gotten a bit too "fusion" for my tastes over the past 15 years, and then they got too far into preset synths, and then FM synthesis and I'm not really too interested in all of that. I still use the System 100, and of course a big part of my life was always the Jupiter 4 and the Jupiter 8 and stuff like that. Talking from a contemporary point of view, I'm a big fan of the new virtual synths. I think the Moog modular virtual synth is fantastic. I use it all the time. I've got the Arp 2600 as well. The Arturia instrumentation is pretty damn cool. I also really like the Korg Legacy collection, the Wavestation and the MS20. Basically they all combine to create a new set of virtual synths. But you can still control them with the MS20 controller, which is fantastic. I'm just very open-minded, I'll try anything. For our ambient stuff we use an awful lot of atmosphere. It's a different world because you can press one key and you can make an hour long piece out of it. And now they're doing it in surround! It's just amazing. It's perfect for film soundtracks. That's a different kind of world really, I wouldn't recommend that as a starting point because it makes you very lazy. I'm still a big fan of monophonic synths, I love all that stuff. In fact, the thing that has occured to me over the years is that the first two albums that we did with the Human League, the restrictions that we had were positive. That's part of the reason why I wanted to do this new B.E.F. album, because I wanted to restrict myself. The rules of the game are going to be part of the artwork. So it's only going to be three virtual synths, that's it. And one drum machine synth. Maybe one of them will just be monophonic. But I kind of like the "chamber" quality of the first Human League album. There's not going to be any samples at all, or any samplers used in the B.E.F. album. It's going to be back to basics, but updated. The early days. L-R: Marsh, Wright, Oakey, Ware.